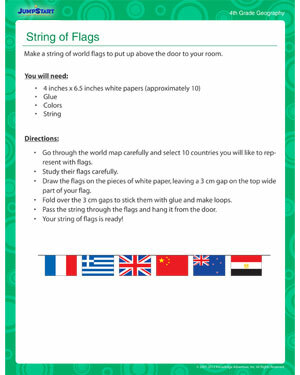 Spark your child’s interest in world geography by creative a great world banner with different flags. Kids have to apply their research and drawing skills while doing this geography activity and create flags for different countries of the world. As an afterthought to the free activity, kids can identify a sportsman that belongs to that particular country and stick a picture of him on the flag.